Del Monte’s GMO Pineapple Approved in the U.S.
Del Monte, one of the world’s largest growers and distributors of the popular tropical pineapple fruit, has developed a genetically modified pineapple that’s currently being grown in Costa Rica, one of the top pineapple-producing countries. It has just received approval by the USDA for eventual sale in the U.S. According to the website, The Packer, Del Monte submitted its requests for approval from the USDA’s APHIS division (Animal and Plant Health Inspection Service) in July of 2012, and the agency quietly gave its approval of Rosé in January of this year, but a formal public response was only made in late April. 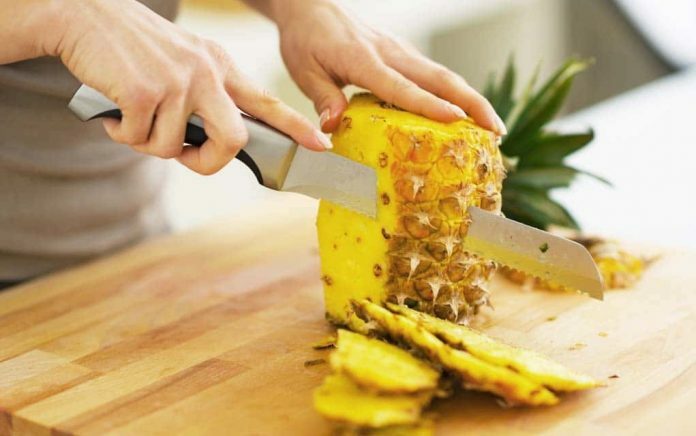 Del Monte’s request for approval describes the GMO Rosé variety as having “rose-colored flesh”, which the company says comes from the addition of genes from “edible plant species, pineapple and tangerine” genetically modified to change the color of the pineapple. A “food safety consultation” must be completed with the FDA before the pineapples can be imported to the U.S. The Packer reports that as of April 26th, the agency’s list of approved consultations did not show any results connected with Del Monte’s Rosé.